Owing to commitment to build the company into a “Leading Force in Gear manufacturing. The founders early in NAW’s history began introducing cutting edge technologies to keep steady pace with latest trends and to maintain a secured expansion. This long standing tradition to expansion remains today. Changing with the time has resulted in the expansion of the original facility several times to accommodate new equipment and technologies for gear manufacturing. Today, all manufacturing operations performed on NAW's products are executed in-house. Excellent equipments and accurate processes to manufacture gear products capable of meeting the most demanding customer requirements has created a selective and diverse list of customers in automobile and tractor industry. 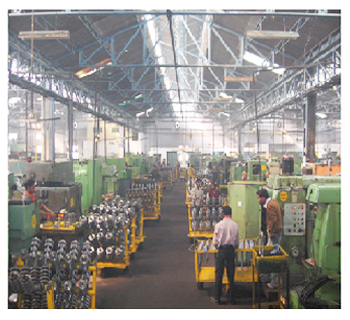 The production of spur and helical gear parts is a significant portion of the company's product line. Company also holds a distinctive and extensive expertise in the production of straight bevel gears.